You’ve enjoyed the ultimate cruise experience; now become an honorary Waterfront Charters crew member! 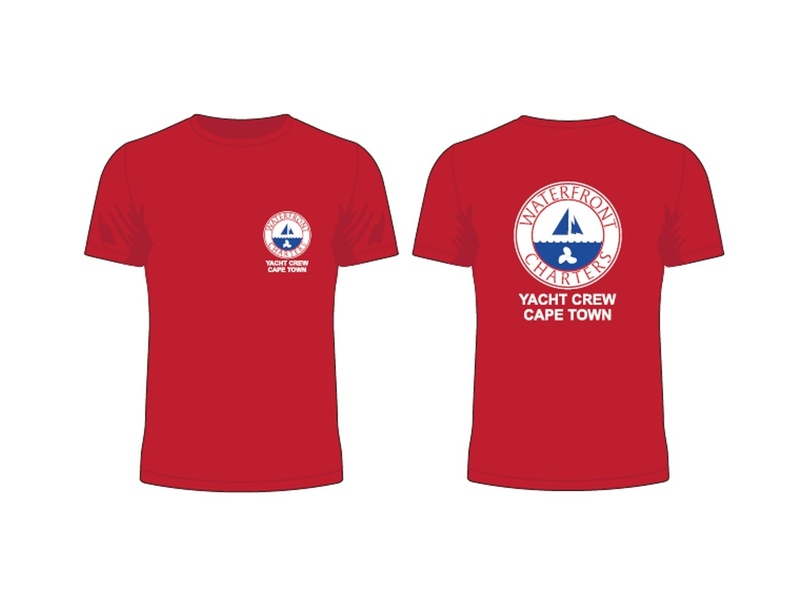 With one of these stylish ‘Yacht crew’ T-shirts you’ll fit into any nautical circle, and will have a lasting reminder of your incredible Waterfront Charters adventure. In sizes to fit all from Small to X-large, you can kit out the entire family stylishly and affordably. Available at the Waterfront Charters office; Shop 5 Quay Five at the V&A Waterfront. To be collected at the Waterfront Charters office; Shop 5 Quay Five at the V&A Waterfront.